MusIQ Lab is designed to be delivered in an innovative and motivational style that may be easily integrated into any music curriculum. Each yearly program contains the plans and materials educators need for students to make regular progress with the software. Supplement an existing music curriculum. 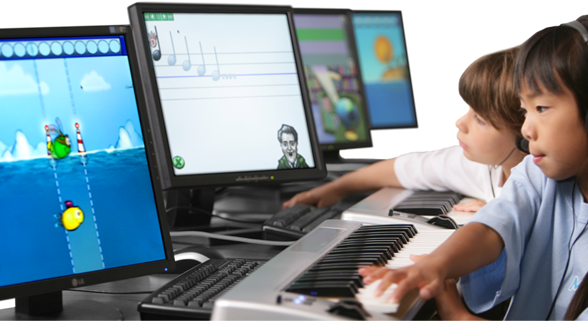 With MusIQ Lab, music teachers can reach more children with engaging hands on skill development, regularly monitor individual progress, and introduce more complex and advanced musical concepts. For schools without a dedicated music teacher, a leader with some musical background should deliver the program.